The Town Centre Jumeirah is a small, intimate community mall just down the road from its larger sister, the Mercato. 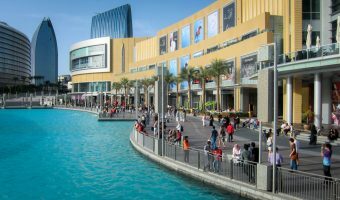 Stores, businesses, restaurants, and places to eat and drink at Town Centre Jumeirah are listed below. Listings were last updated on March 1, 2019 . AK Anne Klein – Women’s footwear and accessories. Al Jaber Optical – Eyewear and optical services. Al Motahajiba – Arabic ladieswear. Axiom Telecom – Mobile telephones, tablets, and accessories. Baker & Spice – Restaurant and artisan food store. Bateel – Gourmet chocolates, dates, pastries etc. Boom & Mellow – Women’s fashion accessories and jewellery. Cafe Bateel – Casual dining. Cafe Ceramique – Cafe and art studio. Craft Land – Arts and crafts store offering fabrics, yarns etc. Classes available. Dubai Mermaids – Children’s mermaid tails (swimwear). Dubai Physiotherapy & Family Medicine Clinic – Medical clinic (family medicine, physiotherapy, sports therapy, orthotics, chiropody, speech therapy etc.). Emirates NBD – Bank branch. Fairytales – Children’s play area. Feet First – Reflexology and massage. First Choice – Arabic womenswear. Hello Kitty Beauty Spa – Beauty salon for girls. Josef Seibel – Leather comfort shoes. Kaya Skin Clinic – Skincare salon. Little Luxuries – Home accessories (crockery, cutlery, wallpaper, lighting, fabrics etc.). Lorna Jane – Stylish sportswear for women. MASKA – High-end gift wrapping (furoshiki – Japanese fabric wrapping). Naturalizer – Women’s shoes, bags, and accessories. Nutrition Zone – Health food, natural remedies etc. Paris Gallery – Perfumes, cosmetics, jewellery and watches, eyewear, and fashion accessories. Party Zone – Party supplies (balloons, decorations, costumes etc.). Prime Gourmet – Upscale butchers and gourmet food store. Sweet Lane – Cakes and baked goods. The World of Pens – Designer pens and accessories. TKD – Lingerie for larger women. Wax Lounge – Body waxing. The mall has a strong focus on beauty and pampering. It features outlets such as Feet First (reflexology, massage, acupuncture, and aromatherapy), Kaya Skin Clinic, Nailstation (manicure and pedicure), and Paris Gallery (perfumes and cosmetics). Café Ceramique offers visitors the chance to customise a piece of pottery while dining (and also boasts wireless internet access). Other cafes and restaurants include Baker & Spice, and Cafe Bateel. Opening hours for the stores are Saturday to Thursday 10 am to 10 pm, and Friday 1.30 pm to 10 pm. Town Centre Jumeriah is located on Jumeirah Beach Road in the Jumeirah area of Dubai. There is no Metro station within easy walking distance. The closest is Financial Centre, around two miles from the mall. Map showing location of Town Centre Jumeirah. I beg to disagree with cynthia, nail station is the BEST nail bar in Dubai! amazing, relaxing, and accurate work, never failed to impress me. Especially the modern cool vibe of the place itself. I have to say that Nail Station is the noisiest nail bar in town. I went there with my friends to try it and we were so disappointed with the experience. First, there are too many employees for such a small bar, second they open conversation while doing your nail treatment, they were loud, laughing , dancing and singing which should never be the case of a nail bar. People are there to unwind with soft music, but rather we found the experience horrible. I wouldn’t recommend it to anyone. The malls in Dubai are not just places to shop. They’re also home to restaurants, bars, hotels, cinemas, and entertainment centres. Check out our guide to the best the city has to offer. 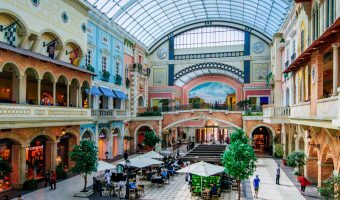 Unique Italian-style shopping mall in Jumeirah. 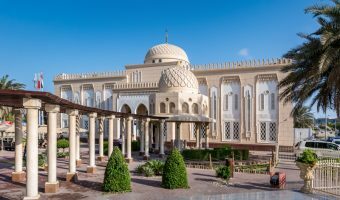 Guide to the Jumeirah area of the city. Includes real estate, hotels, shops, tourist attractions, and an interactive map.